Your life is made up of financial decisions. And unless you are some sort of superhuman, there are some which are going to pay off and some which you are going to regret. However, there are a few financial choices which are always worth making – and it is those that we will be talking about in this blog post. Though some of these may seem obvious, they are worth listing in one place. Even if you these are things that you know that you should be doing anyway, this article could prove to give you the nudge in the right direction that you needed. So, without further ado, here are eight financial decisions which you will not regret. People are living longer than ever before, and you may find that your retirement makes up a big proportion of your life. How much you need to enjoy your golden years to the max really depends on what sort of lifestyle you plan on enjoying. But you are not going to look back and wish that you saved less for your retirement. Even if this seems like it is a long time away at the moment, it could end up sneaking up on you a lot earlier than you thought. The later you start saving, the bigger the percentage of your salary that you will start having to set aside on a monthly basis. Have you ever thought about what you would do if you suddenly went through a financial emergency like losing your job tomorrow? One of the best ways of protecting yourself against this financial risk is by creating an emergency fund which you can draw on. You can decide how much you want to put in there, but you need it to give you some time to find your feet again. In fact, before you make any other kind of investments, this is the first one that you should be making to protect your financial future. It may seem like a difficult task at first, but start depositing what you can each month and you will start to see your fund grow. 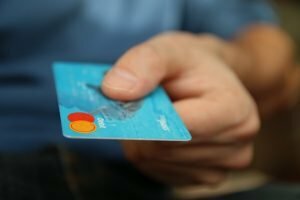 Credit cards can be a very useful financial tool, but if you don’t pay off the balance in full every month, this is not going to serve you well financially. Many credit cards come along with a huge rate of interest which will keep stacking up your debt levels even if you don’t make any additional purchases. Paying off your debt is always going to be a smart financial decision – and this is particularly the case when it is high interest debt which you are going to have to carry around with you for a long time. Many people are tempted into stretching their budgets too far to buy the home of their dreams, but it is more important that you are able to make the monthly repayments rather than having a little bit of extra space. Those mortgage payments can very quickly start to mount up if you are not careful. You can always work your way up the housing ladder over time, but you are not going to be able to do this if your home has to be repossessed because you cannot keep up with the payments. Do your research thoroughly before you consider investing in any sort of property. Check out websites such as HDB Singapore to see the listings that are available to you. As a general rule of thumb, your mortgage repayments should be no greater than 30% of your gross monthly income. Most people don’t follow a household budget, and this is a major mistake if you are hoping to track where your money is going each month. 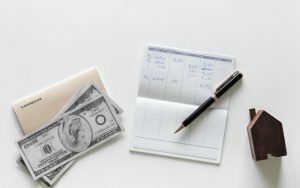 You are going to struggle to get control of your finances if you have no idea how much money is going in and out of your home on a monthly basis. And though it may seem like a hassle, in actuality, creating a household budget shouldn’t be difficult. To start off with, you need to write down the income that you make each month. Next, write down your monthly expenses which never change including rent, student loan repayments etc. You can then write down the payments which change including utility bills, credit card billings etc. Finally, you have the cost of all your extras such as entertainment. Once you have all this information clearly displayed, you should now work out the areas in which you can make savings and cutbacks. Finally, you should be able to get an estimate of how much money you can save, the amount you can put aside for retirement, and any other investments you plan on making. Creating a household budget is one thing, but it can be vague and relies on estimates. However, tracking your expenses involves a sustained effort which is based on where your money is going on a day by day basis. You may well end up being shocked by just how much your daily coffee or lunches at work are costing you, and be inspired to make a positive change to your financial habits. Even if you only track your spending for a couple of weeks, this can still give you a good general idea of where your money is going. Now, you can implement some changes based on what you have noticed is going wrong. When you come back to tracking your expenses once again in the future, you should notice some positive changes. In an age of instant gratification and instant credit, saving up before you buy something may seem like a novel concept. But it is a solid financial move which will help you to not overstretch yourself financially. Not only this, there is a great sense of anticipation and fulfillment involved in setting yourself the target of something that you want and having the reward of getting it when you know that you can afford it. Unfortunately, this is something which has been lost in the modern world, but this doesn’t mean that it has to be gone forever. And once you have saved up enough money for the purchase, you could pay for it in cash as this gives you a much better idea of just how much you are parting with. This is an experience that you don’t get with credit cards. Not only does paying your bills on time give you the financial reward of not incurring any late charges, it also gives you the personal reward of peace of mind. If you find that you are the kind of person who needs a couple of reminders before paying, you could automate your finances so that the money comes out of your account without you having to think about it. A single missed payment can end up having a negative knock-on effect on your credit score, which will in turn affect your financial future in untold ways. Though you can’t guarantee that you are always going to make wise financial choices throughout your life, these are a few of the decisions which you won’t regret. They will also put you on the right path financially, and represent some of the shrewdest moves that you can make.